Want to Receive Our News & Updates by Email? Because We Care Ministries has recently taken over the operations of the school at Pascuala. We want to give you the opportunity to help with the funding of the school by sponsoring a child. We have 34 students in elementary school and 120 in high school. 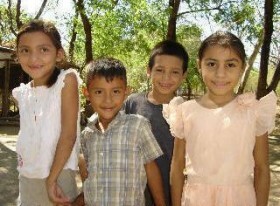 We are asking our friends to sponsor these children at a cost of $250.00 per year per child. With the sponsorship we will purchase each child 2 new uniforms, a pair of shoes, monthly medical and all the school supplies. 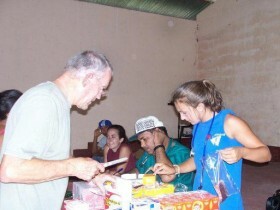 Each year, from September to November, Because We Care Ministries collects money to provide meals and food for families in Nicaragua during Christmas. Because We Care Ministries was founded in 2000 by Dr. Donald Gillette. BWCM is a Christian non-profit organization with a mission to evangelize the lost. 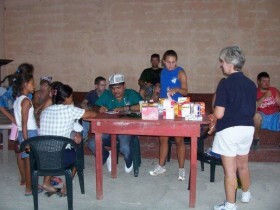 We witness through various relief ministries to the people of Nicaragua. Could God Be Calling You to Serve? This passage gives Jesus’ final and most important charge to his followers. His command is as real to us as it was to the disciples. As they stood watching Jesus ascend to his place in Heaven, they were left with the most crucial task in all of human history. We who await his return must follow the command. If you are interested in learning more about serving with Because We Care Ministries, please contact us!